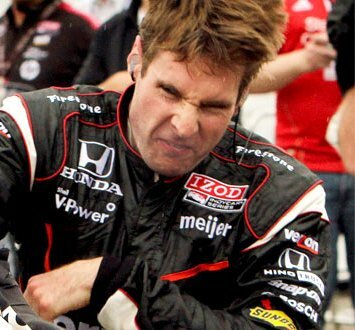 If you thought “Mad” Will Power was agitated after his contact and crash with Takuma Sato Saturday, you should have seen our editorial board’s reaction when he uttered his over the top “crazy” comments during the race. 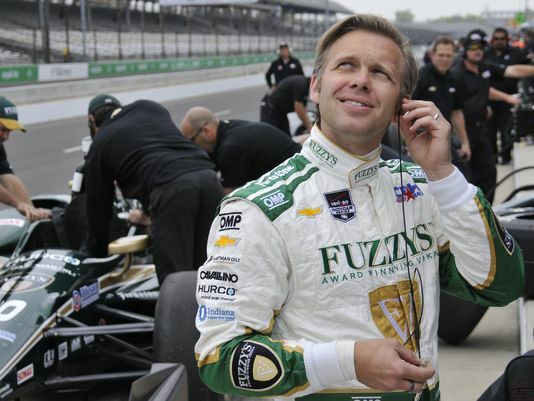 Power’s outburst was completely uncalled for and we at IRR were absolutely livid that he, Kanaan and Montoya – the three stooges of IndyCar – would make such negative comments about their sport, not to mention so publicly and matter of factly. You don’t see such lambasting from participants of other sports – certainly not going to the extreme of repeatedly evoking death, for goodness sake – and the whole hideous display got us to wondering. Was their upset over Saturday’s classic race at Auto Club Speedway due simply to sour grapes? 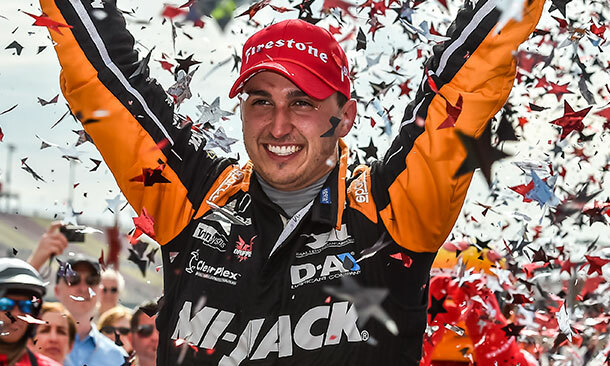 After all, American Graham Rahal driving a Honda won the 500 mile race, doing so over all the rest. Power’s rarely won on an oval in his career and it’s been almost a year since Kanaan won anything. JPM‘s the obvious exception, but his success doesn’t lessen the sting of his “too stupid” comments, ‘you know?’ If anything, it made them less palatable. 2015’s been a good year for American drivers, with Josef Newgarden winning twice already and Rahal nearly doing so a half a dozen occasions prior to Fontana. Perhaps ‘sour grapes’ Power and the rest have a problem with an American winner (“Racist!”), or worse yet think only members of the establishment – Penske & Ganassi – should win races (“Cop-lover!”). Since name calling seems to be his thing, we thought we’d hit Power with the worst insults of the moment so he can experience how it feels (Intolerant!). Perhaps it was fear that inhabited and possessed the buzz kill crew, shining so starkly through in those egregious post race interviews. 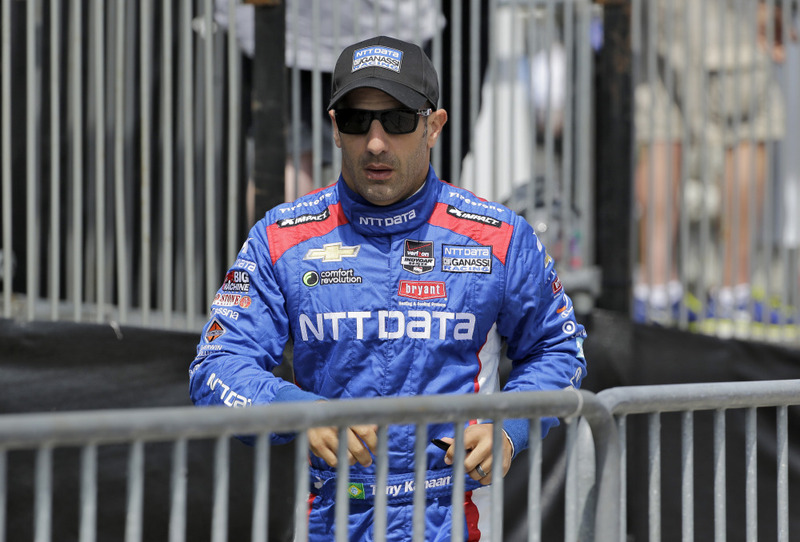 Kanaan had the gall to mention how often he gets “criticized” by those “not in the race car,” as he put it; yet he’s taken on the role of the leading drivers’ spokesman. Either TK’s totally oblivious to American sports fandom and their oft fickle whims, or else he’s willfully disregarding the firestorm of protest other athletes face in this country on a regular basis. Tim Tebow, anyone? Adrian Peterson? Michael Phelps? 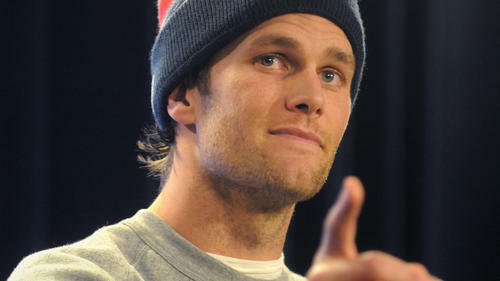 Tom Brady? The list goes on, though none of them rip their respective sports, or blame them for their shortcomings. Ever. In fact, no one ever dumps on Power, Kanaan or Montoya – or the sometimes crummy racing – when they do prevail. 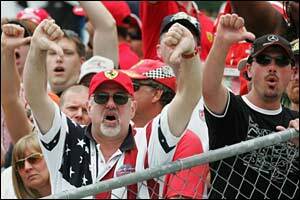 Other drivers cordially congratulate them and in doing so respect the sport, which of course is much bigger than them. IndyCar managed to accidentally put on a spectacular show in Fontana last weekend – some say the best race they’ve ever seen – with increased television viewership for a change. 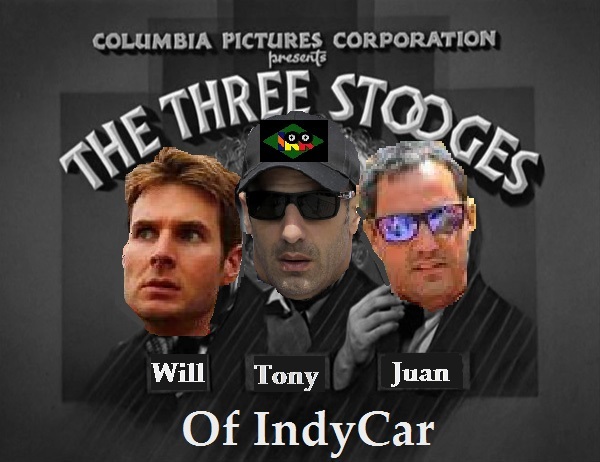 In light of all that good news, what did IndyCar’s three stooges do? They took a giant dump on Rahal’s glittering SoCal stage. What Power and the rest said was beyond awful, it was pathetic. They should be ashamed. We wrote that these three “embarrassed themselves” immediately after the race. It’s now clear they’ve done much more than that. They’ve killed the buzz following a wonderfully thrilling, exceptional show. Worse still, they’ve bitten the hand that feeds them, alienating fans. Shame on Power and his buzz killing crew. That is if anyone in this capsized country still understands the meaning of the word. This entry was posted in 2015 season, Buzz Killing Crew, IndyCar, IndyCar's 3 stooges, irreverent humor, MAVTV 500, Sour Grapes Power and tagged Adrian Peterson, Auto Club Speedway, Ed Carpenter, Ganassi Racing, Graham Rahal, Josef Newgarden, Juan Pablo Montoya, Michael Phelps, Takuma Sato, Team Penske, Tim Tebow, Tom Brady, Tony Kanaan, Will Power by IndyRaceReviewer. Bookmark the permalink.